Registered nurse schools in North Carolina offer a ground-breaking environment that prepares students for a demanding and taxing nursing career. These pre-licensure programs develop competent nurses for an entry-level role in various settings. The curriculum comprises of clinical practice and theoretical classes. Hence, RN programs train you to meet the requirements of today’s health care industry. In order to qualify for entrance in RN school, an aspirant must meet the below mentioned requirements. Students below eighteen years are not considered eligible for enrollment. It is imperative to complete the high school education. Aspirant must clear the drug test and criminal background check (CBC). A valid photo ID and address proof is required at the time of application. You should clear the pre-entrance test called TEAS (Test of Essential Academic Skills) engaged by respective institution. Students should achieve fluency in English language. If you wish to obtain an RN title, you must successfully complete any of the pre-licensure nursing program first, either a traditional BSN program, an associate degree program, or a diploma program, and then pass the National Council Licensure Examination for Registered Nurses (NCLEX-RN). Associate Degree in Nursing: It’s a two-year program that prepares individuals for future RN role by comprising clinical and classroom components in the curriculum. It equips them with detailed nursing theory and technical proficiency. ADN module is designed to cultivate the skills so that graduates can analyze, plan, execute, and evaluate the nursing care. Bachelors of Science in Nursing: BSN degree generally takes four years to complete. The broad curriculum includes humanities, behavioral science, and nursing theory. First two years involves study of human growth and development, organic chemistry, psychology, microbiology, nutrition, physiology, biology, and anatomy, and the last two years focus on complex courses such as pharmacology, health assessment, bioethics, pediatrics, management and research. Diploma Course: Diploma program in nursing takes 2 to 3 years to complete the didactic coursework that focuses mainly on clinical instructions, practices and direct patient care. It incorporates in-depth study of social sciences and biology. Hence, the coursework prepares nurses to work as an independent nursing practitioner in hospitals, community and long-term settings. Direct Entry MSN Program: This program offers a direct road towards graduate nursing studies for those who hold a non-nursing baccalaureate degree and wish to become a registered nurse. Accelerated BSN Degree: If you already hold a bachelor degree in a field other than nursing, then this fast track program helps you catch up with a rewarding career. It takes 16 to 18 months to cover the inclusive coursework that provides a strong base for advance nursing practice. LPN to RN: These programs are specially designed for licensed practical nurses who wish to broaden the dimension of their nursing career. It offers a perfect gateway for LPNs who seek professional development and aspire to become a registered nurse. 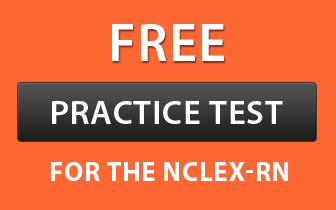 Graduates from any of the above degree are eligible to sit for the NCLEX exam.